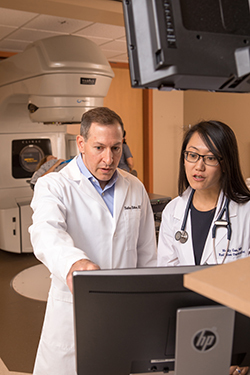 With our experience, expertise, and resolute commitment to our patients, we have become a recognized leader in providing high quality, personalized cancer care. We surround you with an entire team dedicated to your comfort and recovery. 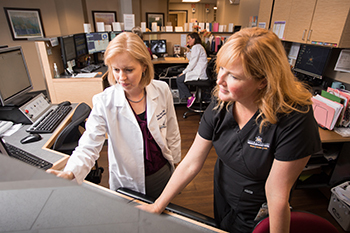 Within our centers, our board-certified radiation oncologists lead a highly trained staff. We have full-time, board-certified medical physicists and dosimetrists who work closely with our physicians to ensure optimal treatment planning and delivery. Our therapists are certified by the American Registry of Radiological Technologists in Radiation Therapy. Our physicians work close with your other doctors for optimal communication and coordinated delivery of your care. Tacoma/Valley Radiation Oncology Centers are accredited by the American College of Radiation Oncology. Receiving national accreditation indicates our facilities and services have undergone extensive evaluation. Because our physicians participate in many clinical trials, our patients have access to the very newest medical developments and treatment options. We are also active partners in the Bellevue College Associates Programs for radiation therapists. Students may participate in our care, under the guidance of a board-certified therapist. If you do not wish to have a student participate in your care, please advise your physician or therapist.